We’re currently selling this line, KEP Designs, at the boutique I work at…and I keep trying these necklaces on! 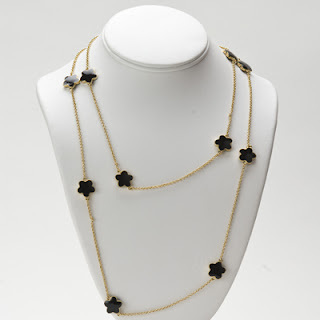 Very similar to Van Cleef…but actually affordable! Only $130! I love it…especially worn single layered, really long. But black or navy!!? ?